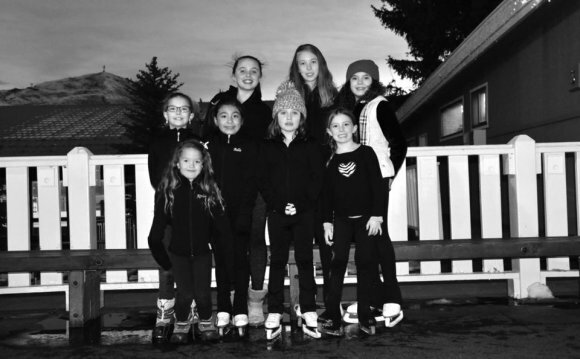 The Peaks Figure Skating Club will be hosting its annual basic skills competition at the Peaks Ice Arena in Provo on April 18th, 2015. There will be compulsory events as well as program events and pairs events. The registration deadline is March 29th, 2015. Participants should register via Entryeeze. Salt Lake Figure Skating is proud to host the 2015 U.S. Adult Figure Skating Championships. We anticipate 550 adult athletes, 2000 visitors, 5000 spectators over the five day event and over 100 volunteers! We will NEED 50 ice sweepers. Boys and girls are welcome to participate in this incredible opportunity! These clinics are for skaters who are basic 6 and higher. The average age of the team is about 7 years old. In the clinics, skaters will be learning skills and a program. Class is held on Fridays from 5:15-5:45 pm at Cottonwood Heights. Class dates are: January 9th (passed), January 23rd, February 6th, February 13th, February 20th, February 27th, March 6th, March 13th, and March 20th. The cost is $60 for all 9 clinics or $8 per clinic. Cost includes ice time and coaching. Skaters are welcome to come early and skate from 4:15-5:15 pm to warm up and practice. Costume fees will be additional if there are enough skaters for a team. American Ice Theatre of Utah held its first Winter Performance Workshop over the holidays and the response was amazing. Skaters were able to learn a ensemble program during the workshop and then performed at the Utah Grizzlies Hockey Game in front of a huge public audience. Contact Rachel Peterson (American Ice theatre Co-Director) if you have skaters interested in any of the upcoming workshops. See the flyer below for details. The Oval Figure Skating Club and the Utah Olympic Oval would like to invite you to our Basic Skills competition on . Our events include Program with music, Compulsories, Spins, Jumps, and Artistic Showcase Duets, Light Entertainment, Adults, and Hockey. Levels range from Tots to Preliminary. If you have any questions please feel free to contact Colin Cook at Colin@Cook-tech.com or Kate Nicoll at knicoll@utaholympiclegacy.com. There will also be a team Rink/Club trophy handed out at the end of the competition with the most points. Hope to see you at there!